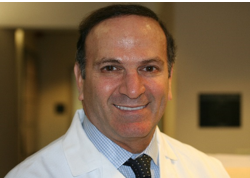 Dr. Fishman is Board-certified in Surgery and Pediatric Surgery. 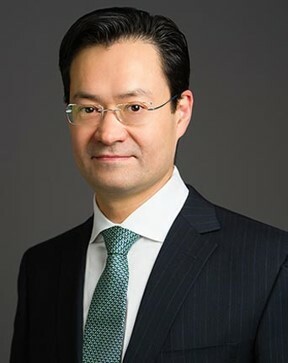 He is the Stuart and Jane Weitzman Family Chair in Surgery, Vice-Chair of Surgery for Clinical Operations, Co-Director of the Vascular Anomalies Center, President of the Physicians’ Organization, and Senior Vice-President for Access and Business Services at Boston Children’s Hospital. He is Professor of Surgery at Harvard Medical School. 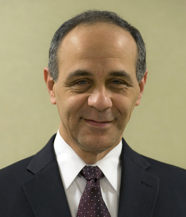 Dr. Fishman is past president of the International Society for the Study of Vascular Anomalies. He has authored over 200 articles and chapters. He co-authored the comprehensive reference text Mulliken and Young’s Vascular Anomalies, 2nd Edition. Dr. Milton Waner is an authority in the surgical management of hemangiomas and vascular malformations of the head and neck. He has over 100 peer reviewed publications, 30 textbook chapters, and countless presentations at national and international meetings. He has written and edited 4 textbooks, 3 of which are on hemangiomas and vascular malformations. Dr. Waner has been involved in this field for 30 years and pioneered the early management of hemangiomas. He is currently the Surgical Director of the AVM center at Lenox Hill Hospital where he is an attending surgeon in the Head and Neck Institute. He was formerly an endowed professor of Otolaryngology at the University of Arkansas for Medical Sciences. Dr. Waner has won numerous awards for his work in the field of vascular malformations. Dr. J. Stuart Nelson, is Medical Director of the Beckman Laser Institute and Medical Clinic, and Professor of Surgery and Biomedical Engineering at the University of California Irvine Medical Center. He is also the Director of the Vascular Birthmarks and Malformations Diagnostic and Treatment Center. Dr. Nelson’s university-based clinical practice and research combines his expertise in engineering, optics, medicine, and surgery. In addition to Dr. Nelson’s faculty, research, teaching, and clinical responsibilities, he developed the “Dynamic Cooling Device” which, in conjunction with pulsed dye laser technology, has become the standard of care for the treatment of cutaneous vascular malformations. Worldwide, this methodology developed has now been incorporated into more than 25,000 laser devices. Dr. Nelson has published more than 340 scientific articles and 15 book chapters. He served as President of the American Society for Laser Medicine and Surgery (ASLMS) 2001-2002 and Editor-in-Chief of the ASLMS journal Lasers in Surgery and Medicine 2005-2015. My first area of research was autoimmune mucocutaneous blistering diseases, specifically pemphigus vulgaris. I worked on the role of epitope spreading in multiple simultaneous autoimmune conditions, as well as the therapeutic efficacy of Rituximab (anti-CD20) and IVIg. This led to my interest in diagnostic dermatopathology and clinical dermatology where I studied the implications of the melanoma-induced immune response. I have been involved in multiple fields of study during my fellowship with Dr. Mihm at the Brigham and Women’s Hospital. I am very excited to apply the knowledge gleamed from my study of melanoma, tumor infiltrating lymphocytes, and the role of the immune checkpoint blockade therapies to our work in vascular anomalies. Through our close collaboration with Dr. Milton Waner, Dr. Stuart Nelson, Dr. Teresa O, and Dr. Wenbin Tan among many others, we are attempting to characterize the immunologic profile of these diseases, especially infantile hemangiomas and port-wine stain lesions. We are also studying the molecular profile of these diseases, with great interest in the role of the Ras-Raf-MEK-ERK pathway in their pathogenesis. I look forward to continuing my work in this important field. The last 43 years of my life have been spent in five areas of endeavor. First, I have studied the evolution of malignant melanoma and was involved in the first classification of the tumor into subtypes in 1969 with Dr. Wallace Clark. This work then led to identifying early signs of melanoma and to receipt of the first and only NIH grant to study the biology of this often deadly cancer. This work also led me to study not only the fields of Internal Medicine and Dermatology but also Pathology, in order to understand better the biology and pathophysiology of human tumors. This work also led to my second great interest: diagnostic dermatopathology. From this work, I went on to found, at the Massachusetts General Hospital, one of the first five institutions in the United States establishing a fellowship program in Dermatopathology, thereafter recognized as an official subspecialty in Medicine. My third great interest was to understand the evolution of the human immune response. Beginning in 1969 and extending into the early 1980s, I worked with Dr. Harold Dvorak to study and define the human delayed hypersensitivity as presented in experimental contact dermatitis. We also studied human allograft rejection and published one of the first descriptions of the blood vessels as the target in this process. This work served as a segue into a further elaboration of my interest in melanoma with studies of the immune response or TIL’s in primary and metastatic melanoma. This work has continued to the present with members of the WHO melanoma program for which I co-directed the pathology panel and currently, with the melanoma pathology group of the EORTC. I also co-direct this endeavor. Some of the most ground-breaking studies of the host response in mice and man have been carried out with Dr. Glenn Dranoff and his associates as we have studies the importance TILs in patients vaccinated with viral vectors containing DNA that results in autologous tumor cells producing GMCSF with remarkable responses in Stage IV melanoma patients. This work continues with now also Dr. George Murphy, Margaret Shipp, and F. Steven Hodi. These collaborations have blended my interest in melanoma and human delayed response, resulting in highly significant studies in human tumoral immunologic response. Recent studies in the interest in the glycobiology of melanomas have brought new insights into the potential mediators of T cell infiltration and potential mechanisms of T cell fate within melanomas. I am currently studying the role of galectin-1 (Gal-1) and its ligands in melanoma growth and progression. My interest in prognostication is intrinsically bound to understanding progression. This area should prove to be fertile ground for very meaningful research in understanding melanoma and creating new therapies. My fifth area is the study of vascular anomalies in collaboration with Drs. Paula North, Milton Waner, Robert Rosen, Stuart Nelson, and Wenbin Tan. We have made seminal observations concerning the importance GLUT1 in the diagnosis and biology of infantile hemangiomas. We also have made other seminal observations in the pathophysiology and pathology of Port Wine stains. I continue to work with all of these physicians in this important area. My prior work qualifies me to be a meaningful collaborator in further vascular studies. Alejandro Berenstein, MD (Dr B.) was born in Mexico City in 1948, graduated from the UNAM, at present is Professor of Neurosurgery, Radiology and Pediatrics, Director of the Hyman-Newman Institute for Neurology and Neurosurgery at the Ichan School of Medicine at Mount Sinai Health System in NYC. His contributions include the description of the functional vascular anatomy, understanding and description of the diseases, and the development of multiple medical devices to treat them, now used throughout the world. Among the more than 30 awards, in 1989 he received the Ramon y Cajal Award in Medicine for distinguished Latin American Physicians. In 1998 he received the first Cerebrovascular Luessenhop Award from the American Association of Neurological Surgeons (AANS) and the Congress of Neurological Surgeons (CNS) Section of Cerebrovascular Surgery. In 2001 he was awarded the Paolo Raimondi Award from the AANS/CNS on Pediatric Neurological Surgery, and is the only physician to have received both. In 2007 he received the Physician of the Year award from the Vascular Birthmarks Foundation for his work with children with vascular birth defects. In 2007, he received the Boston Scientific Neurovascular Lifetime Achievement Award for excellence in research and clinical applications; in 2008, he won the Heart of New York Stroke Spotlight Award from the American Heart and Stroke Association. He is an Honorary Member of the Japanese Society of Neuroendovascular Therapy; in 2009 he received the first Serbinenko Golden Sign Award in Neurosurgery in Moscow. He has been visiting professor, both lecturer and faculty, on over 600 occasions. He became the first president of the World Federation of Interventional and Therapeutic Neuroradiology and third president of the American Society of Interventional and Therapeutic Neuroradiology. He has been the President of SILAN the Latin-American Society of Neuroradiology (2012-2013). 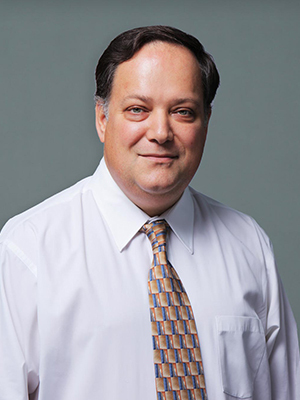 Alejandro Berenstein, MD, is Clinical Professor, Department of Neurosurgery, Radiology, and Pediatrics at the Ichan School of Medicine at Mount Sinai HCS in New York. 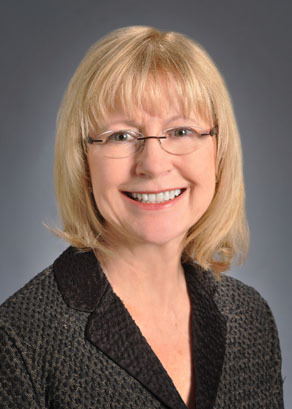 Dr. Patricia Burrows has been involved in the diagnosis and treatment of vascular anomalies since her Pediatric Special Procedures fellowship at Boston Children’s Hospital in 1981. In 1985, she obtained additional training in neurovascular intervention in order to provide endovascular treatment of children with vascular malformations at the Hospital for Sick Children in Toronto. 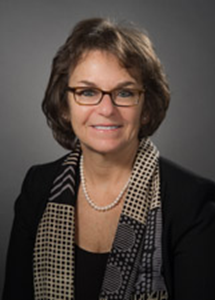 She was director of pediatric interventional radiology and co-director of the Vascular Anomalies Center at Boston Children’s Hospital, and served as both president and executive board member of ISSVA for several years. She is a co-editor of the second edition of Mulliken and Young’s Vascular Anomalies. 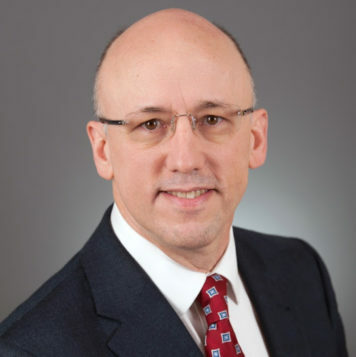 Presently, Dr. Burrows is an active member of the Vascular Anomalies Program at Children’s Hospital of Wisconsin and Professor of Radiology at the Medical College of Wisconsin. Dr. Rosen is internationally recognized as a leader in the field of interventional radiology and endovascular surgery, having pioneered several techniques and medical devices now in common use. He attended college and medical school in Philadelphia, receiving his medical degree from Hahnemann University and post graduate training in interventional radiology at the Hospital of the University of Pennsylvania. After completing a fellowship in 1980, he was recruited to establish the Division of Interventional Radiology at New York University Medical Center, where he remained for 25 years, performing over 70,000 interventional and endovascular procedures and training 45 fellows, several of whom have become leaders in the field in their own right. In April 2005, Dr. Rosen joined the newly formed multidisciplinary cardiovascular group at Lenox Hill Heart and Vascular Institute in New York, where he continues to treat patients, train fellows, and conduct clinical research. Dr. Rosen is best known for his original work in the management of children and adults with congenital vascular malformations, and is referred patients from around the world with these disorders. He has also developed techniques and instrumentation for the treatment of patients with aortic aneurysms, atherosclerosis, hepatic tumors, and uterine fibroids. 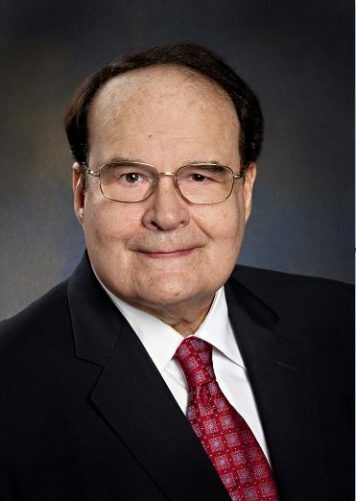 He holds several patents for medical devices and has published nearly 100 original scientific papers and two textbooks, as well as book chapters in several standard medical texts. He also lectures extensively and has been a visiting professor in institutions throughout the United States and abroad. He was the youngest individual ever elected to fellowship in the Society for Interventional Radiology, and is a member of the Alpha Omega Alpha Honor Medical Society, the Radiological Society of North America, and the Cardiovascular Council of the American Heart Association. Dr. Amaral received his medical degree from the Albert Eistein College Medicine of Yeshiva University, and trained in Orthopaedic Surgery at Montefiore Medical Center. After completing a fellowship in Pediatric Orthopaedic Surgery at the Hospital for Special Surgery, Dr. Amaral joined the Montefiore Orthopedic faculty. He served as chief of pediatric orthopedic surgery at the Children’s Hospital at Montefiore until 2014. He then joined Cohen Children’s Medical Center of North Shore LIJ where he currently serves as Chief of Pediatric Orthopedic Surgery. Dr. Amaral is an active member of many national orthopedic societies which include the Pediatric Orthopaedic Society of North America, Scoliosis Research Society, and the American Academy of Orthopaedic Surgeons, and has served as committee members for these as esteemed organizations. He has presented his work at national and international meetings and has been nominated and received best paper honors. His interests include complex limb deformity and limb reconstruction, complex spinal deformity which includes scoliosis and spondylolysthesis, and joint preservation surgery. Dr. Rebarber is a board certified Obstetrician / Gynecologist with subspecialty certification in Maternal-Fetal Medicine. He completed his MFM fellowship training at Yale University and was a member of the New York University School of Medicine faculty where he served in numerous leadership positions prior to his current role. Dr. Hasso is board certified in Diagnostic Radiology and sub-certified in diagnostic neuroradiology. He is an expert in clinical imaging of the brain and spine, and an investigator on applications of CT and MRI in disorders of the head and neck. His clinical expertise is held in the highest regard not only within neuroradiology, but also among specialists in neurology, neurosurgery, otolaryngology/head and neck surgery, ophthalmology, and by radiologists worldwide. Dr. Hasso is a superb teacher and has received “Teacher-of-the-Year” awards from both the Department of Radiology and the Department of Neurology at University of California Irvine. His knowledge of all aspects of neuroradiology and head and neck radiology is extensive and he has a wonderful ability to communicate to students his knowledge of, and enthusiasm for, the subject. The popularity of his teaching is reflected in the large number of both national and international lectures that he has given in the last 35 years at various society meetings and seminars. He has been an invited professor at 12 major universities, and a Gold Medalist of both the American Society of Neuroradiology and the American Roentgen Ray Society. Dr. Hasso is the author or co-author of six textbooks and over 140 articles in refereed scientific journals. He has contributed over 70 chapters for textbooks in the fields of neuroradiology, head and neck radiology and MRI. His most recent textbook on Diagnostic Imaging of the Head and Neck has a chapter dedicated to imaging of vascular anomalies and vascular tumors in children and adults. Dr. Hasso is a reviewer and member of the editorial boards of seven scientific journals in his specialty. David H. Darrow, MD, DDS, is Professor of Otolaryngology-Head & Neck Surgery at Eastern Virginia Medical School in Norfolk, VA. He is the founder and co-director of the EVMS Center for Hemangiomas and Vascular Birthmarks, and his clinical practice includes vascular lesions of the head and neck in children and adults. Dr. Darrow has served as a member and chair of the executive committee of the American Academy of Pediatrics Section on Otolaryngology-Head & Neck Surgery, and as a member of the Board of Directors of the American Society of Pediatric Otolaryngology. Dr. Darrow has authored a study of orodental manifestations of facial port wine stains, and was lead author of the AAP Clinical Report on Infantile Hemangiomas. He has also authored several book chapters on vascular anomalies in neonates and children. 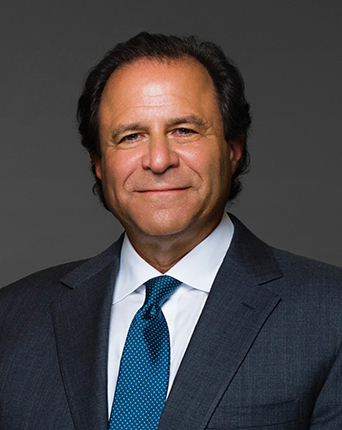 Roy G. Geronemus, M.D., Director of the Laser & Skin Surgery Center of New York®, graduated from Harvard University and pursued his medical education at the University of Miami School of Medicine. He trained in dermatology at the New York University Medical Center where he was the chief resident and subsequently underwent a fellowship training in Mohs Micrographic Surgery and Cutaneous Oncology. He is a Clinical Professor of Dermatology at New York University Medical Center where he founded its laser program and served nine years as chief of dermatologic and laser surgery. He is past president of the American Society for Dermatologic Surgery and the American Society for Laser Medicine & Surgery. Dr. Geronemus is the Chairman of the Board of the New York Stem Cell Foundation. Among several honors and awards, he has received the Physician of the Year honor from the Vascular Birthmark Foundation which also awarded him their Humanitarian Award in 2014. Dr. Geronemus has published over 240 medical articles, chapters, and books. He has been involved with the development of multiple new laser systems and therapeutic techniques which are now commonly used throughout the world. Julia Pettersen Neckman, MD is currently completing her fellowship specializing in Mohs micrographic surgery as well as cosmetic and laser surgery with Roy G. Geronemus, M.D. at the Laser & Skin Surgery Center of New York. 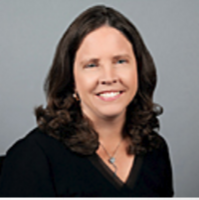 Dr. Neckman graduated from Duke University and earned her medical degree from Mount Sinai. During medical school, she was awarded a special distinction for her research work at Rockefeller University and was inducted into the Alpha Omega Alpha Honors Society. 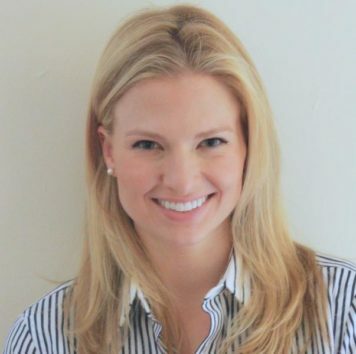 Dr. Neckman completed her Dermatology Residency at Yale University, where she was Chief Resident. She has presented nationally on her research efforts studying the tumor microenvironment of non-melanoma skin cancer, and she has been published in peer-reviewed journals including Journal of Investigative Dermatology and the Journal of the American Academy of Dermatology. She is a member of the American Academy of Dermatology, American Society for Dermatologic Surgery, and American Society for Laser Medicine and Surgery. Dr. Anne M. Comi is an Associate Professor of Neurology and Pediatrics at the Johns Hopkins School of Medicine and at the Kennedy Krieger Insitute. She directs the Hunter Nelson Sturge-Weber Center at the Kennedy Krieger Institute. She oversees both laboratory and clinical research into the basis of, diagnosis, and treatment of Sturge-Weber syndrome. 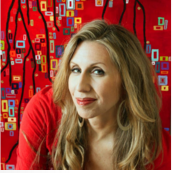 Leslie Graff holds a masters degree in Human Development from Brigham Young University. She completed her Child Life training at Johns Hopkins and has worked as Child Life Specialist at UCSF. She has taught at BYU and Ohlone College. She has written undergraduate curricula in Child Life. Leslie been involved with international medical missions and education for more than 15 years. She is on the expert panel of the Vascular Birthmarks Foundation and serves as its Psychosocial and Developmental Expert. 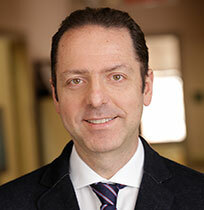 Dr. John G. Pappas, is a graduate of the University of Athens Medical School, Greece. He was trained in Pediatrics at Beth Israel Medical Center, NY and in Clinical Genetics at Mt. Sinai Hospital, NY. 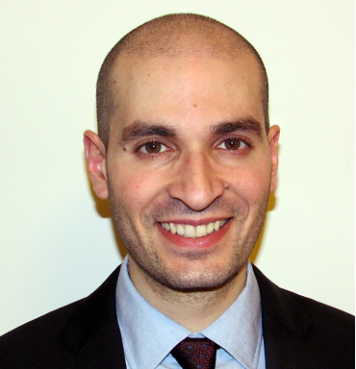 Post-training, Dr. Pappas was a clinical genetics consultant at Beth Israel Medical Center, NY. Dr. Pappas is currently (since 2001) the Director of NYU Clinical Genetic Services in the Department of Pediatrics , NYU Langone Medical Center. Dr. Pappas teaches clinical genetics to the first- and third-year medical students in the NYU School of Medicine. He is an active clinician with daily outpatient and inpatient consultations. His academic interests include unusual presentations of genetic syndromes, genomic microdeletions and microduplications, overgrowth syndromes, and vascular abnormalities. Dr. Blei is Board-certified in Pediatrics and Pediatric Hematology-Oncology. Her clinical practice is limited to vascular anomalies (prenatal to adult): patients with hemangiomas, vascular malformations, Kaposiform Hemangioendothelioma, lymphedema, and many syndrome-associated vascular anomalies. She has worked in a laboratory studying the molecular mechanisms of endothelial cells. 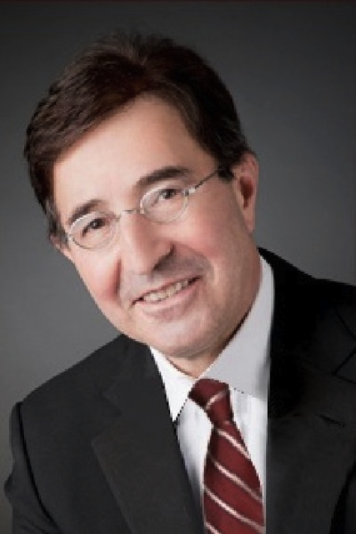 Dr. Blei has co-authored many original articles, reviews, textbook chapters, is the Associate Editor of the journal, and Section Editor for Vascular Anomalies of Lymphatic Research and Biology and co-author of“100 Questions and Answers About Vascular Anomalies,” a practical guide for patients, families, and physicians. 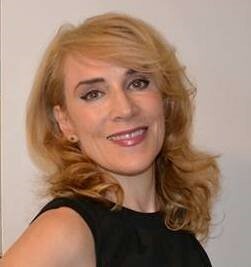 She is currently the Scientific Chair of the International Society for the Study of Vascular Anomalies (ISSVA).